Window Design Group uses the highest quality rolling hardware, panel and frame designs. Our systems provide smooth and easiest operation unmatched by other large Bi-Folding doors. Our bi-fold door systems’ ability to span any size opening, multiple configurations and options are here to meet the demands of our customers. The Window Design Group folding doors are the top choice. Bi-Folding doors and windows are the perfect solution for both modest to expansive openings. Systems of connected bi-fold door panels offer hundreds of fold-and-stack configurations, with inward or outward openings. Open a single door, or the entire wall. Elegant and versatile, folding patio doors and windows can be used to divide a room or expand a living space to the outdoors. Bi-Folding doors and windows are available as either all-wood, all-aluminum or with an extruded aluminum clad exterior and real wood interior. Transform fixed walls into flexible openings that invite the outside in and remove visual and physical barriers. Enjoy the expanded sense of space, yet stay comfortable with a transparent barrier that protects you no matter what the climate or seasonal extreme. Our signature door and window panels are utilized throughout our folding door product range, creating a perfect match for all openings. Minimal, clean designs allow for panels to stack in alignment when open. Our narrow stiles and low profile rails create symmetry and allow more glass and natural light and are the preferred aesthetic of architects and designers or anyone with an appreciation for detail. With the ability to span any size opening, multiple configurations and options to meet the demands of any project, bi-folding doors and window system are the perfect choice. 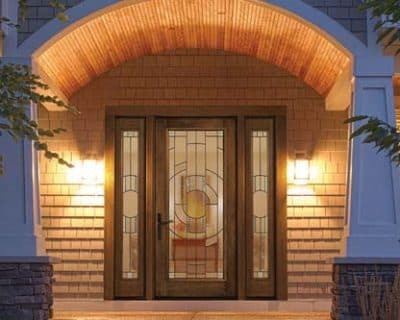 Whether you’re constructing a new home or remodeling your current residence, Window Design Group introduces a new level of lifestyle quality. Imagine the possibilities for an expanded sense of space that an open wall affords, while it preserves unobstructed views when it is closed. Our manufacturing facility dedicated to making folding door systems allows us to provide high quality products. Advanced lean manufacturing practices and quality assurance programs ensure the best quality and consistency, while extensive air, water, structural and thermal testing ensures we offer the protection a home needs. Our folding patio doors & multi sliding telescoping systems set the standard for style, function and performance.